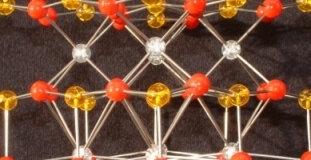 Our molecular models represent the very best quality and accuracy that is available in molecular and crystal modelling. All our models are of Museum display quality (we know this because our models can be found on display in some of the world’s top science and geologocal museums), giving you first class models with an accuracy that can’t be matched by the use of standard molecular modeling kits. We normally manufacture our molecular models to a scale of 1cm to 1Å, which means that the resulting models are a convenient size for display or teaching. 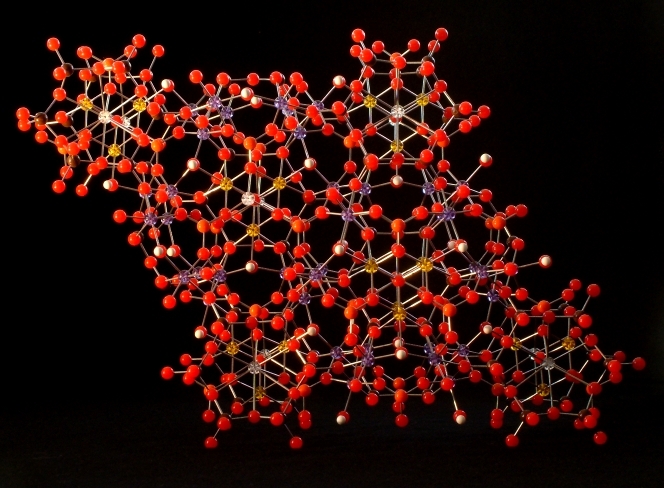 The manner of the construction means that the models have a much greater clarity - the rigid metal bonds are only 1mm in diameter, much thinner than those in chemistry models kits, meaning that the atoms are seen much more easily, and the structure is more clearly defined. The bonds are inserted into tight fitting holes in the atoms without the use of any glue. It is the tight fit and the accuracy of the drilling that holds the structures together. 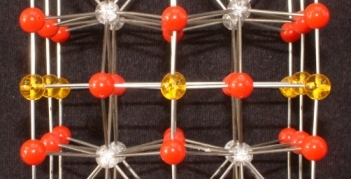 The accuracy of the bond angles means that the subtle features of many structures are visible in a way that is not possible with standard model kits. The images to the left show the copper-oxygen sheets in the superconductor Yttrium Barium Copper Oxide. The ‘corrugated’ arrangement found in alternate Copper-Oxygen sheets would be completely lost in most models - indeed, this subtlety is lost in many computer images - but is clearly visible in our models. We’ve lost count of the number of people who’ve found something new and interesting in the structure of their materials from our scientific models that they’ve missed in other methods of visualisation.